Your copy. It’s got it all! It’s beautifully written. It has a captivating lead. It makes a strong point. It’s clear. Concise. A fifth grader could understand it. But something’s missing. Something important. Watch the video, then check your copy to see if you may be missing that certain something. If you need some help adding in those magic ingrediants, don’t worry. Next week, I’ll be diving into the 3 Missing P’s, and giving you some concrete tips on how to infuse them into your copy. Meanwhile, tell me… what questions do you have about making your copy and communications more human and full of authentic energy? 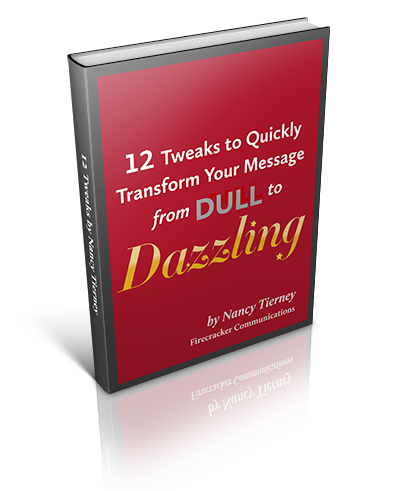 Have you read copy that really speaks to you because it’s so full of life, personality or passion? Let’s talk about this! Leave your answers below in the comment section, and we’ll stir up some mischief!